How do you get your friends to guess Huckleberry Finn using only a grid of icons to guess? How do you communicate a concept without talking? 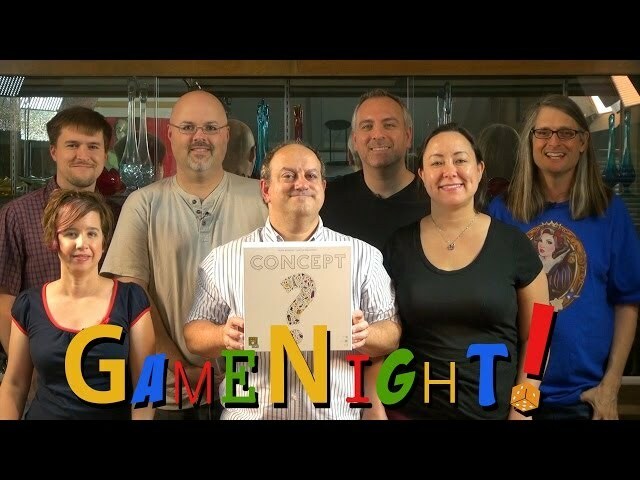 Like Charades without the acting, Concept is a board game that challenges you to non-verbally communicate to your team a concept using only icons – what's a red white and blue building made of metal that travelled internationally? The Eiffel Tower! Buy Concept if you like the idea of Charades but with more direction and without the acting! A great party game for all.